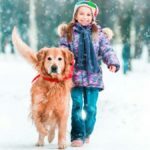 If you love your Golden’s overall sweet and gentle temperament as well as its hallmark beautiful coat, you will learn that it’s not at all hard to control your Golden’s shedding using just a few natural methods. All it takes is a good regular routine, lots of patience and love. 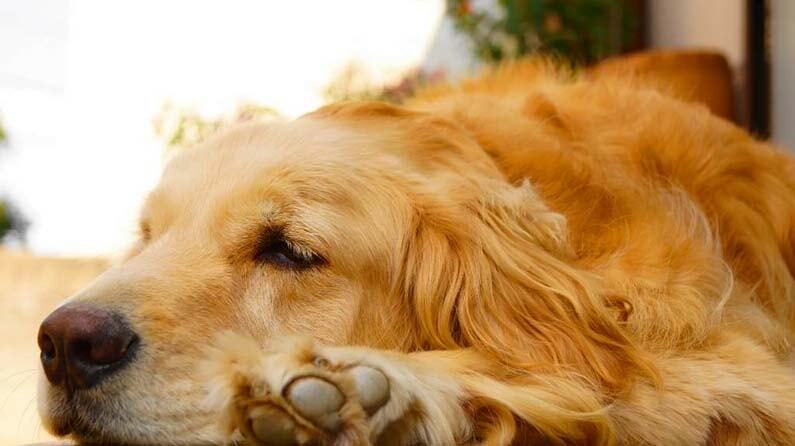 The Golden is among the most beloved dog breeds throughout the globe. Their friendly, sociable, loyal, and intelligent nature makes them a popular choice for family pets as well as working and/or service dogs. Their trademark is their long, beautiful golden coats and unfortunately the non shedding Golden retriever does not exist! These beautiful and loving pups are quite high-maintenance because of their thick coats; Golden Retriever shedding over everything you own is an issue! Tip #1 – Do Golden Retrievers shed a lot? They sure do! Some pet parents claim the Golden Retriever shedding season lasts all year. They shed moderately in summer and winter, and profusely in spring and fall. If you have a Golden, you simply need to accept the fact that you’ll have a dog leaving hair everywhere—on the floors, on your clothes, on your bed—everywhere. It always comes handy to have a good lint remover brush, or you may use rubber gloves to easily remove dog hair. 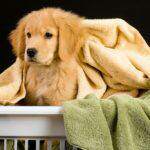 Tip #2 – You cannot stop your Golden Retriever from shedding BUT you can keep your house free from dog hair. Golden Retriever grooming is essential. Brush your dog at least three times per week and discard its hair somewhere it won’t get scattered or blown away. Ideally, you need to brush your dog daily to prevent tangling for easy care and maintenance. To remove knots, simply use a slicker brush. 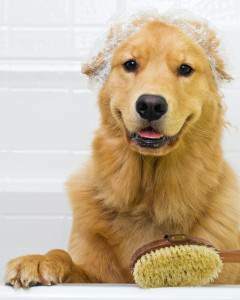 Tip #3 – You also need to bathe your Golden Retriever at least once a month or once every other week at most. Bathing your dog too frequently may result in dry skin which further exacerbates shedding. If possible, use only a good all-natural dog shampoo, such as coconut or oatmeal when bathing your Golden. Tip #4 – DO NOT use sprays or pills that claim to prevent Golden Retriever shedding. Some of these products may contain harmful chemicals that might ruin your dog’s coat and skin the more often you use them. Tip #5 – Feed your pet sufficient amounts of protein and Omega 3s. This will help prevent excessive shedding in Golden Retrievers as it keeps your dog’s overall health in check aside from strengthening their hair roots and making their skin more elastic. On the other hand, DO NOT over-feed your dog with certain foods no matter how much you think they’re healthy. Follow your vet’s daily dog food recommendations which are based on what’s appropriate for your pet’s weight, health, and age. If you’re concerned about excessive Golden Retriever shedding, take your dog for a check up with your local vet. Tip #6 – Feeding a Golden Retriever a nutritious diet naturally prevents a host of canine illnesses as well as helps keep your dog’s coat beautiful and healthy. Try raw, natural feeding. 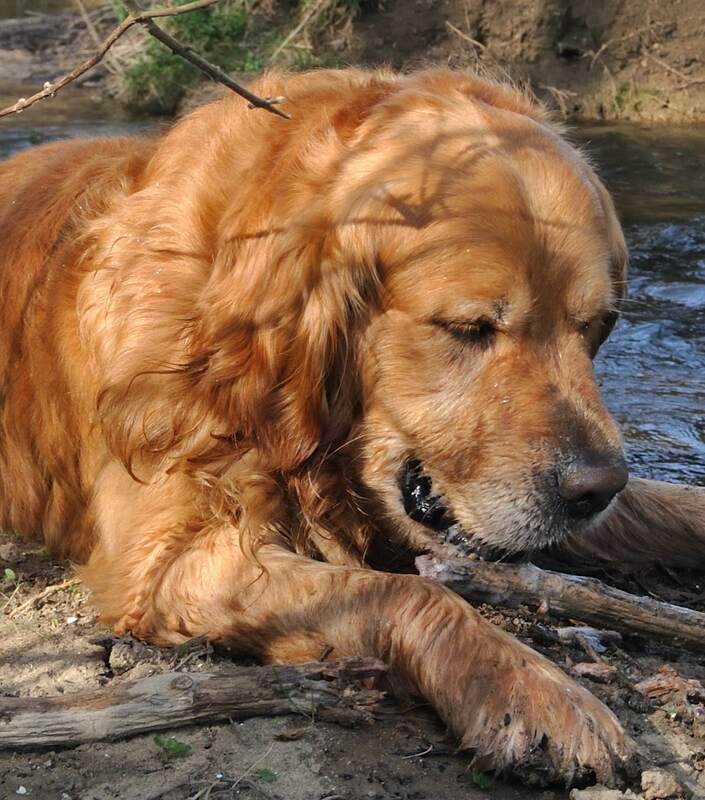 As long as you keep your Golden’s raw food diet clean or well-sanitized, it’s always good choice. If using cooked natural dog food, do not forget to supplement with Brewer’s yeast and probiotics. 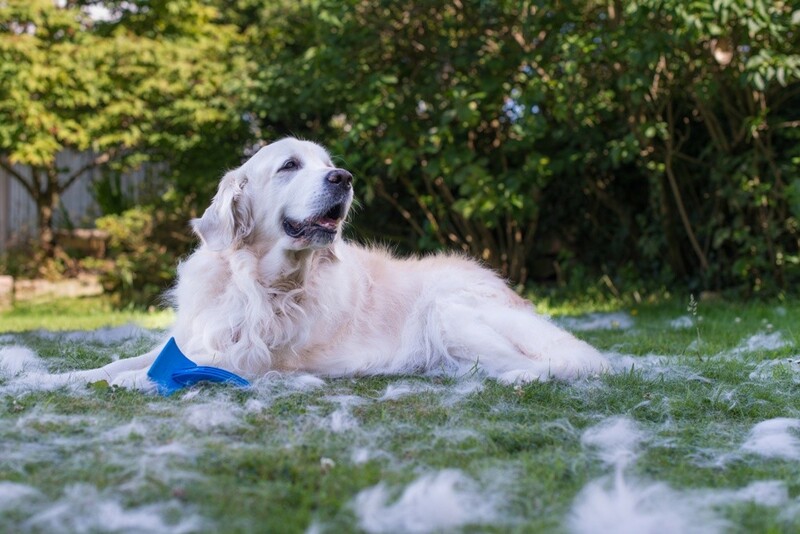 Tip #7 – Finally, shedding from your Golden Retriever will be exacerbated when they are anxious and stressed. Keep your dogs in a comfortable and relaxed setting, his living quarters should be free from any threat or disturbance. Try to keep your Golden calm at all times and keep them busy with fun, worthwhile activities (games and Golden Retriever training) and most especially chew toys! 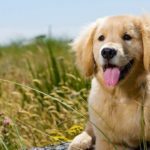 With these tips, you will be providing the best care to prevent your Golden Retriever shedding excessively. You’ll have a lovable, gentle dog with a beautiful and lustrous, thick, long coat – great for the family!